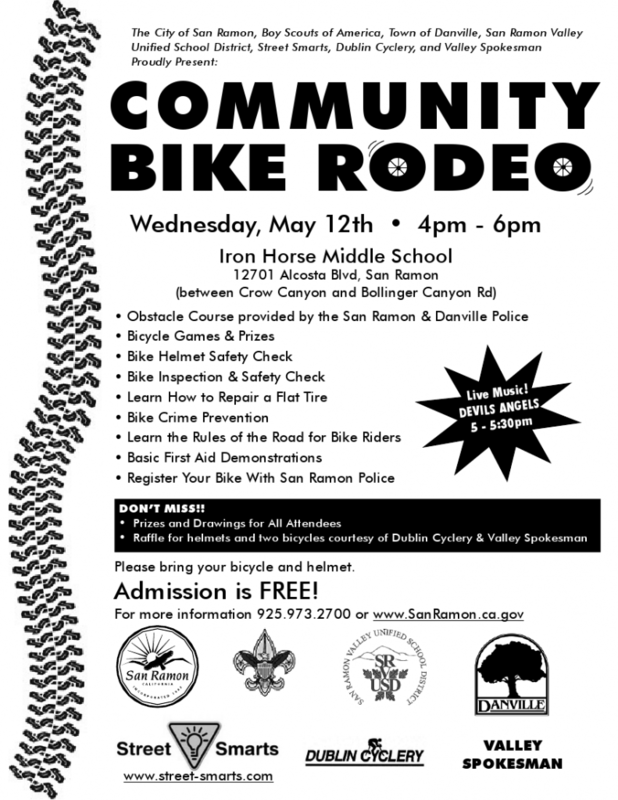 Mark your calendar for the upcoming Bike Rodeo. 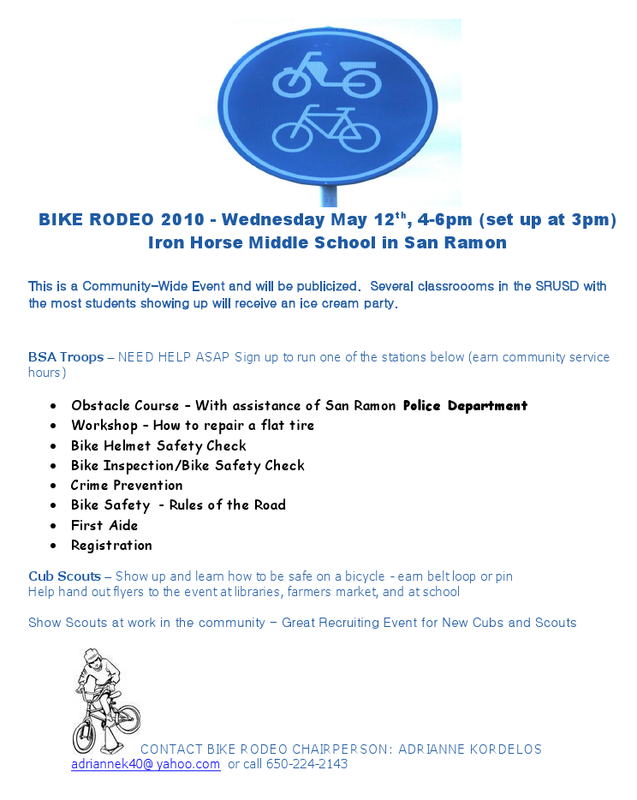 This is a great opportunity to learn about bike safety and earn the bicycle belt loop or pin. It's even better if you can help out. Check the flyer and contact Adrianne if you need more details. Don't forget to wear your uniform!